How lucky we are to be living in an age where we have options that have never been available to people before now. One of those options that people now have is using human growth hormone injections to eliminate growth hormone deficiency symptoms. But how well does HGH therapy really work for adults who have received a medical diagnosis confirming that they have developed the adult-onset version of this increasingly more common hormone disorder? In understanding how HGH replacement therapy works to benefit adults, versus how it works to increase the stature of children with growth hormone deficiency, only some basic biology is needed. For some adults, the progressive loss of their body’s GH supply becomes severe enough to cause health disruptions that appear as chronic symptoms. While this hormone is essential for allowing children to reach their optimal growth, in adults it’s essential for maintaining overall physiological vitality. Using HGH therapy does not cause adults to become taller; it allows their systems and organs to continue to function at levels that optimize vitality and healthfulness. The answer to how well HGH replacement therapy works for adult men and women has been apparent to medical researchers and scientists for a relatively short time in comparison to how long they have known about how well it works in younger patients. But in the several decades that have immediately followed the pharmaceutical breakthrough of successfully creating bio-identical human growth hormone, much has been learned about just how well it works for growth hormone deficient adult patients. There is a lot to know about this medical treatment in addition to does HGH therapy really work; you’ll want to know what its benefits are … what determines if you are medically qualified to receive it … what the possible risks and/or side effects consist of … and how to go about finding a medical provider who has specific experience in prescribing hormone replacement therapy programs for adult patients. This general overview is intended to cover these basics for adults considering this treatment. Do All Adults Who Use HGH Therapy Get the Same Benefits? Because it is a treatment that corrects a medical condition at its source rather than masking its symptoms, how well does HGH therapy really work in terms of the consistency of its benefits depends on how extensive a patient’s growth hormone deficiency is. There is no question that it has been clinically shown to work well for the overriding majority of adults who use it; yet a natural variation in the benefits it provides to each individual patient is to be expected – since the severity of their symptoms will inarguably vary from person to person. There are two ways to look at the benefits provided by injectable human growth hormone treatments, and they are from the viewpoint of adults with a milder degree of deficiency and those who have developed a more severe degree of deficiency. All of these adults will experience the improvements listed above; but those whose deficiency is more extensive will probably experience a more dramatic improvement. In the case of adults with a less extensive level of deficiency, the benefits will probably be less dramatic since their symptoms were milder to begin with. However, it is advantageous to detect growth hormone deficiency early on in its development since it will require less treatment to correct the imbalance. What Are the Risks and/or Side Effects for Adults Using HGH? In addition to understanding how does HGH therapy really work and the benefits it delivers, responsible hormone replacement therapy medical providers will want their patients to also understand that all medications have the potential to cause side effects and present risks. Far too often, and perhaps this has happened to you, people don’t become aware of the associated risks of any particular medication or treatment that they have been prescribed until they read the extensive warnings that accompany them when they bring them home from the pharmacy. Oftentimes, the instances of patients who have actually experienced those side effects or developed higher risk factors is very low; but pharmaceutical companies have a legal obligation to provide all of the pertinent information that is currently available to patients. In the instance of adult patients using injectable human growth hormone therapy, the chance of experiencing unpleasant side effects is statistically minimal and the risks associated with using this form of medical treatment over an extended time period have thus far proven to be minimal in most cases as well. Some of the mild side effects that have been reported from patients using HGH injections are fluid retention; mild joint pain; headaches; and feelings of anxiousness. In most cases, these effects are temporary and can quickly be managed by lowering the dosage of or temporarily suspending treatment. The greatest chance for experiencing more serious risks and side effects is definitely held by those adults who are using human growth hormone injections that they have purchased illegally and are not being medically supervised or monitored through blood sampling. But for adults who follow their course of treatment exactly as it has been prescribed for them, there will be no doubt about how well does HGH therapy really work; only the excitement and joy of feeling and looking healthier, revitalized and more youthful day by day. How Do HGH Therapy Doctors Know If It Will Work for You? The most comprehensive knowledge and experience in treating adult-onset growth hormone deficiency is obviously going to be held by the doctors who have specialized their medical practice to hormone replacement therapy (HRT). 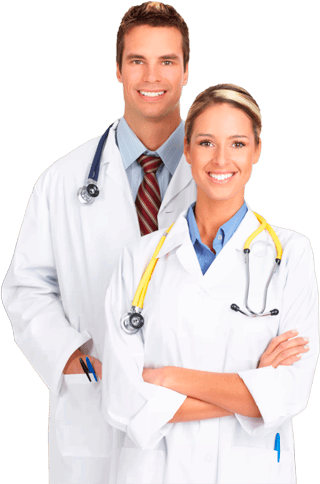 These are the doctors who will be the most familiar with the blood panels that are specifically utilized for measuring growth hormone levels. They are the doctors who will possess the most extensive experience in prescribing individualized treatment programs for their patients. And, in the case of medically qualified HRT providers like Nexel Medical, they are also able to assist their patients with obtaining their prescribed HGH injections online. Time after time, HRT doctors such as those at Nexel Medical have been able to not just tell patients, but to show patients the answer to the question of does HGH therapy really work? Unlike most general medical practitioners who might go for their entire careers with never having diagnosed or prescribed treatment for adult growth hormone deficiency, hormone therapy specialists like Nexel Medical exclusively focus their practice on the treatment of hormone disorders. The way that Nexel Medical determines if HGH replacement therapy will work for you or for any adult is built right into our treatment procedures. First, we request that you complete our medical history form, which will flag any pre-existing condition or other medical information that would preclude you from being a viable candidate for HGH therapy. Then one of our clinical advisors will personally work with you to schedule a blood screening and physical exam that will be performed in your local area; the results will be submitted to your prescribing physician at Nexel Medical. Upon reviewing all of your clinical information, your Nexel Medical doctor will diagnose the extent of your hormone deficiency and prescribe the appropriate course of hormone replacement therapy, using bio-identical human growth hormone injections that will replenish your GH levels. As mentioned, you will also be able to purchase your HGH medications through our online pharmacy source with the goal of saving you time and money. And your clinical advisor will always be available to you for any assistance that you might require throughout your entire course of therapy. This is how Nexel Medical ensures that each of our patients receives human growth hormone replacement therapy appropriately, which is the only way to ensure that our patients expeience a safe and effective HGH therapy experience.